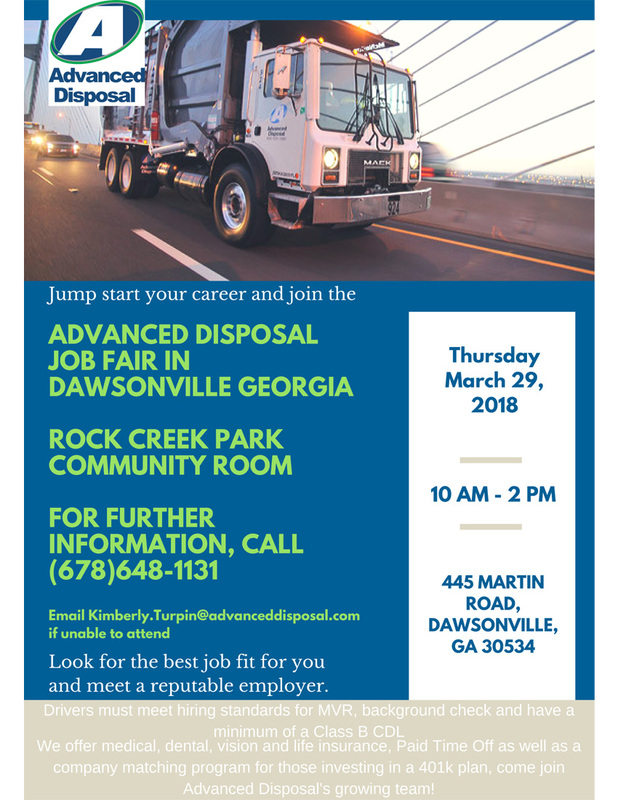 BLUE RIDGE, Ga. – GoCo recently donated four trash receptacles to the city of Blue Ridge to use during Georgia Cities Week April 22 through 28. 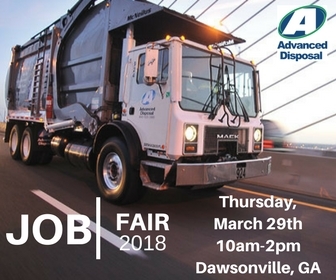 With the two dumpsters previously by Advanced Disposal, the city has six trash receptacles for residents to use during Georgia Cities Week. First Baptist Church of Blue Ridge parking lot on the corner of Church and East First streets. Two other locations – Blue Ridge City Hall and the Ada Street, LLC property near Hampton Square – have containers in which small brush and bagged leaves can be disposed. 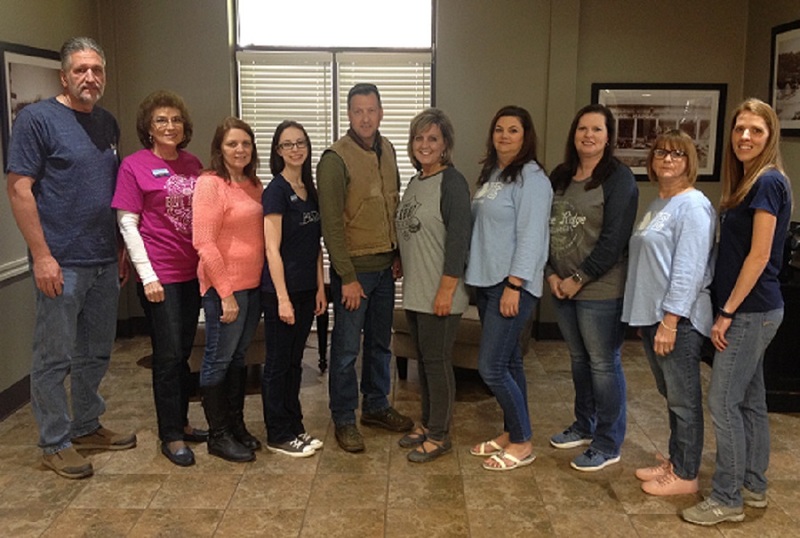 The city of Blue Ridge would like to thank the following people and organizations for their help with this clean-up during Georgia Cities Week: Josh and Erin Golden with GoCo, Richie Walker with Advanced Disposal, the Blue Ridge Kiwanis Club, First Baptist Church of Blue Ridge, and the property owners of Ada Street, LLC. BLUE RIDGE, Ga. – Fannin County Emergency Response Teams responded to several fire-related calls over the weekend and into early Monday morning. On Saturday evening, the Fannin County Fire Department (FCFD) responded to a 9:12 p.m. call of a residential fire at a rental cabin on 885 Brittney Dr. in Epworth. Crews arrived on scene at 9:34 p.m. According to Fire Chief Larry Thomas, the fire began in an outside chimney and quickly spread to endanger the house. Fourteen firefighters along with three engines and two tankers were able to contain the fire to the chimney. No injuries were sustained as a result of the incident, Thomas said. Miner Springs Apartments fire. Photo Courtesy of Kelly Wisner. 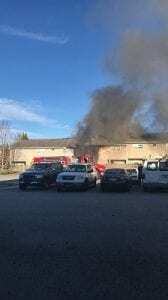 Later in the weekend, FCFD was dispatched to a report of a fire located at the Mineral Springs apartment complex at 3:46 p.m. Sunday, Nov. 26. Kelly Wisner and her husband, Jason Wisner, ran to the building that was on fire and adjacent buildings to warn residents of the fire and the need to evacuate and move their vehicles. Kelly Wisner also placed a call to 911 during this time. According to a representative with Mineral Springs Apartments, three units suffered damaged due to the fire. All units in the building, however, must remain vacated until an inspection can be done and power is restored. In addition to the residents who got out of the building safely, FCFD also reports that they were able to rescue six cats, one pet snake and one pet canary. FCFD also responded to a fire located at the Open Arms home. A call came in at 8:36 p.m. Sunday, Nov. 26, and units were on scene within 18 minutes. Open Arms is a nonprofit organization for children who have been abused or neglected. The program offers a number of services including short-term residential care. A state investigator was on the scene of the Open Arms home fire for suspected arson. Captain Justin Turner with the Fannin County Sheriff’s Department was able to confirm that the fire was intentionally set and a juvenile is currently in custody. At 1:49 a.m. Monday, Nov. 27, FCFD responded to the scene of a truck fire at Advanced Disposal located at 10169 Lakewood Hwy. in Mineral Bluff. One of Advanced Disposal’s compactor trucks had caught fire. The cause of the fire is undetermined and currently still under investigation. No one was injured during this fire. The compactor truck suffered significant damage and damage to other vehicles parked nearby was also reported . 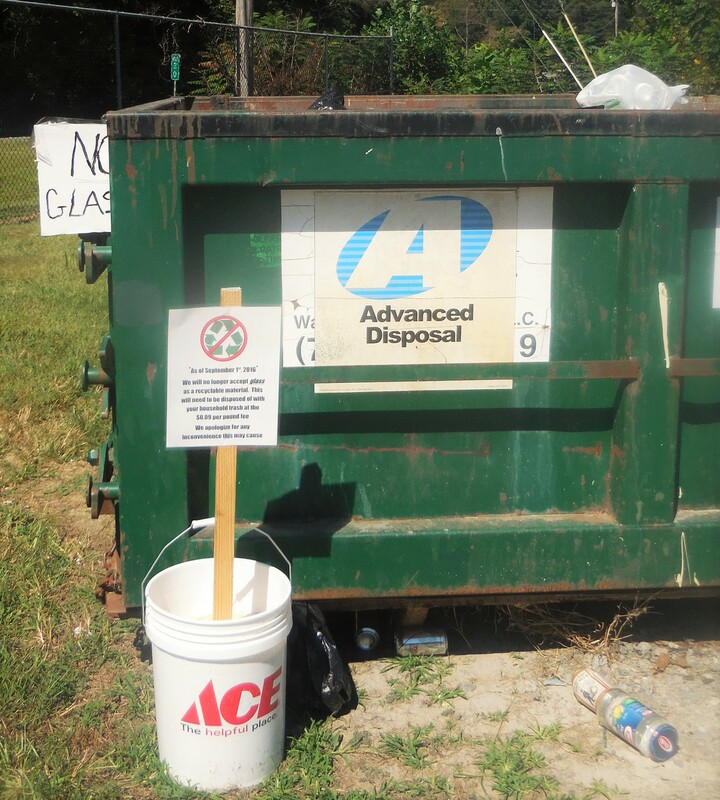 As of Sept. 1st, Advanced Disposal is no longer accepting glass recycling at its Fannin County locations. This decision follows a drop in profits nationwide from glass recycling. The Wall Street Journal reported in August 2015 that municipal waste companies are ending glass recycling programs because the amount of trash ending up among discarded bottles and jars is making it to expensive to recycle the glass (read article here). 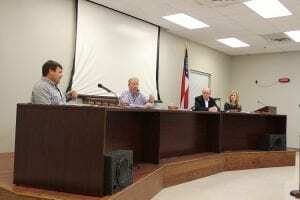 FetchYourNews twice contacted Advanced Disposal for an official comment about whether this decision is specific to Fannin County’s new waste contract or if it is a nationwide company decision. Advanced Disposal did not return the calls.